This 2 bedroom brick & tile home commands your earliest inspection. 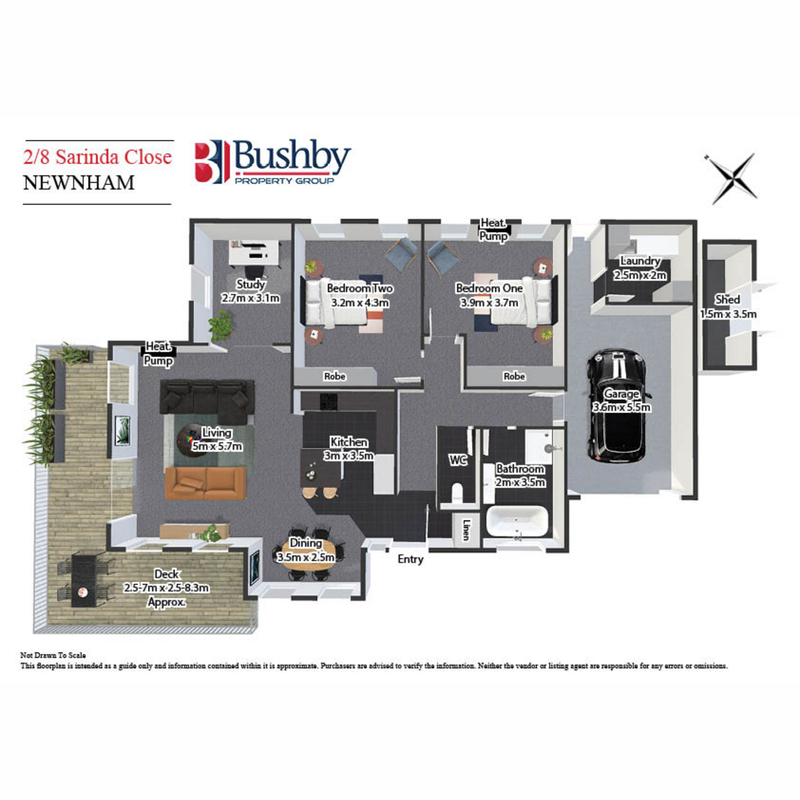 With an open plan design comprising an expansive living area, modern kitchen with island bench, dining nook plus an extra study, you won’t be disappointed! A fantastic rear entertaining deck, hot tub, garage with internal access & off street parking complete the package. Ideally located just minutes from all the conveniences at Mowbray and only a short drive to the Launceston CBD. Don’t delay! This property is further complimented by 8 solar panels dramatically reducing power costs.